Note: This article is intended for the stand-alone Get Paid product that is now a tier of GoDaddy Online Bookkeeping. As such, some of these instructions may not apply to your Online Bookkeeping account. How do I know if I’m a typical Online Bookkeeping - Get Paid customer? Online Bookkeeping - Get Paid is a product specifically designed for service-based businesses that send invoices to clients or take payments on the spot (in-person). You may or may not give the customer a receipt after a transaction, depending on the circumstances. You’re a typical Online Bookkeeping - Get Paid customer if you’re a local pool technician, a child's piano teacher, or a specialist who fixes air conditioners, for example. Web professionals or graphic designers who work on larger projects for small businesses are also ideal candidates for Online Bookkeeping - Get Paid. How do I access my Online Bookkeeping - Get Paid accounts? To access Online Bookkeeping - Get Paid in your GoDaddy account, log in to your GoDaddy account, click Online Bookkeeping, and then click Manage next to the account you want to use. What kind of reports are available through Online Bookkeeping - Get Paid? How can I accept payments with Online Bookkeeping - Get Paid? Can I receive a receipt via text message? No. All receipts are received via email at this time, regardless of method of payment. How can I accept payments for Online Bookkeeping - Get Paid on a mobile device (Android or iPhone)? Use PayPal Here (PPH) to swipe the card. Using the card reader provided by PayPal Here, small businesses can easily run a customer's credit card. The mobile app will enable the transaction. How do I invoice and accept online payment using Online Bookkeeping - Get Paid? Once the invoice is sent, Online Bookkeeping - Get Paid will keep track of it. Reminders can be set to schedule the client for payments. Is the subject line for emails for invoices customizable? Yes. 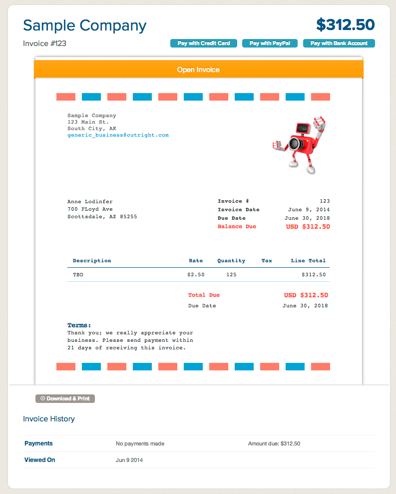 The default subject line reads New Invoice from (Company Name) but it is entirely customizable. Can invoices be filtered by user, and if so, can all invoices ever sent be seen? Do reoccurring invoices need to be for the same amount every time, and is there a way to set up auto pay so funds are automatically collected? Yes, reoccurring invoices need to be set at the same amount each time, but the dates can be set in a wide variety of ways. There is no auto pay option for these accounts at this time. If an invoice is outstanding, can a new invoice with a late fee be sent? All invoices are kept on our servers, so if an invoice is outstanding, the user can actually just edit the existing invoice and add a charge without having to resend anything. Fraud is handled on the processor side, so we have no insight into that process. Your customers only need a credit card or debit card to pay you via Stripe, and can use any PayPal account as well. What if I don’t know anything about taking credit card payments? Not a problem! Online Bookkeeping - Get Paid is a great place for you to start. You’ll go through the setup experience which starts you out on PayPal Here or Stripe or (depending on preferences and needs). The set up process is simple compared to setting up a merchant account service. We can walk you through all the steps. Online Bookkeeping - Get Paid lets you accept payments in person or via the web. If you don't see your customers face-to-face, you can email an invoice that is online-payment-enabled, and accept any kind of payments via PayPal or Stripe. If you invoice, Online Bookkeeping - Get Paid will let you generate customized invoices that are enabled for online payment, or you can always just accept payments by check. Either way, Online Bookkeeping - Get Paid tracks the invoices sent, sends reminders for overdue payments, and tracks payments received. Online Bookkeeping - Get Paid also tracks all your sales, so whether you invoice, accept payments in person, or both, it's all organized in your Online Bookkeeping - Get Paid account. Note: Additional fees and costs are subject to change. Amounts are current as of 1/1/2015, but please visit your payment processor website for more up-to-date information and changes in pricing. What are the pros and cons of using PayPal Here or Stripe? PayPal Here has a pocket-sized reader and is best for in-person transactions. It gives the customer a sense of professionalism and the client feels secure seeing their card swiped in front of them. Stripe is best for online credit card payments for invoices. Also, if a customer chooses not to use PayPal Here, they can scan a credit card with their phone camera, or enter the card information manually with Stripe. What if I don't have a PayPal or Stripe? If my customer already has PayPal, is Online Bookkeeping - Get Paid still an option? Yes. Online Bookkeeping - Get Paid works seamlessly with PayPal to help get payments. There are two types of PayPal accounts your customer can have: Regular PayPal and PayPal Here. PayPal Here is a unique PayPal account that comes with a card reader. During Online Bookkeeping - Get Paid setup, your customer will be prompted to either set up a PayPal Here account OR sign into their existing account. By simply logging into the existing account, they will be ready to use it with Online Bookkeeping - Get Paid. The benefit of this integration is that it generates a nice, clean report detailing all sales and fees from PayPal as well as sales made via any other methods. Your customer can go to paypal.com/here to upgrade to a PayPal Here account. Once upgraded, Online Bookkeeping - Get Paid will import all regular and PayPal Here sales transactions. PayPal will also send the customer a card reader for free. This is an easy and seamless process that can be completed while you are on the phone with them. Will PayPal Here work on shopping cart websites that offer the use of PayPal Pro? There is a widget that can be obtained through PayPal that can be applied for PayPal Pro. If the PayPal account is linked to Online Bookkeeping - Get Paid, the transactions will still be imported even if it was done on the site. What if my customer doesn't want to use PayPal to accept credit cards? NOTE: When new customers start with Online Bookkeeping - Get Paid, they can choose which payment methods they want to set up (PayPal Here and Stripe). They can set up all of them or just one of them. They can easily go back and add the others later if needed. If the customer wants to accept credit card charges from an invoice without using PayPal, it's the same process. The customer needs to sign up for Stripe so that credit card payment option would be available to their clients. How does the web version of Online Bookkeeping - Get Paid differ from the mobile version? Online Bookkeeping - Get Paid is a web application that comes with a complimentary mobile application. The web application must be purchased first before the complimentary mobile app is offered. A customer cannot simply go to iTunes store or Google Play store to purchase the mobile app on its own. How do I get the mobile app version? There are two ways to get the mobile app. When you log in to Online Bookkeeping - Get Paid for the first time, you'll go through a setup flow to get your account started. During this flow process, we'll text you a link to download the mobile app, or you can find the mobile app in the iTunes Store or the Google Play Store. 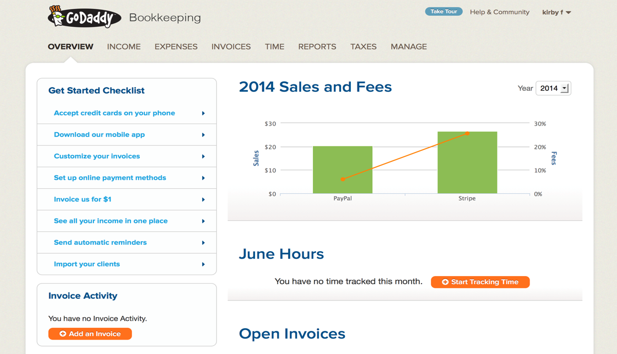 What mobile devices and operating systems work with Online Bookkeeping - Get Paid? Online Bookkeeping - Get Paid does not work for Android tablets, nor does it work with Windows phones, Blackberry, or Kindle Fire at this time. What can I use the Online Bookkeeping - Get Paid mobile app for? Look professional with Online Bookkeeping - Get Paid's customized estimates and invoices, and let your clients pay you online directly from the invoice. Should I use Online Bookkeeping - Get Paid on the web or on my phone? You can and should use the product on both the web and phone! 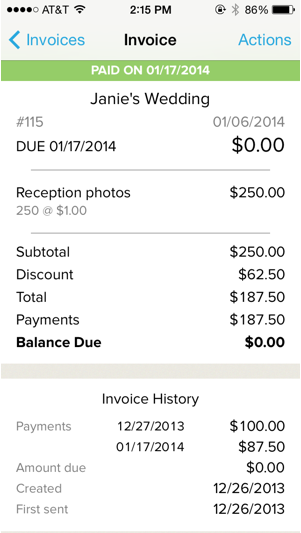 When you are on the go, use the phone app to accept payments and send quick invoices. Use the web app to look at detailed reports and send invoices as well. It all depends on which interface you like to use best! Can I do mobile check deposit with Online Bookkeeping - Get Paid? Online Bookkeeping - Get Paid does NOT offer mobile check deposit services. You cannot scan and deposit a check directly using the mobile app, however Chase Bank or Bank of America mobile apps will allow mobile check deposit. You and your customers may be familiar with this process from those banks. How long will it take for me to receive my card swiper? The card swiper is sent directly from PayPal and takes 3-7 business days to arrive. The swiper will be sent to the address in your PayPal account, NOT to the address in your GoDaddy account. What if I need more than one card swiper? You can purchase additional swipers online at Amazon.com and at retail stores such as Staples or Office Depot. Price may vary, but generally swipers cost around $14.99. Are there any limitations for number of swipes or dollar amounts per swipes per day? No. There are no limitations, and if there are, we have not yet reached them. When using Online Bookkeeping - Get Paid, when will I receive the money in my bank account? If you accept PayPal or Stripe payments, you will see the transaction posted to your PayPal or Stripe account in real time. With Stripe, however, it will still take about 7 days (with 2 days for each additional transaction) for the payment to post to your actual bank account. Depending on the sweep schedule, the funds might get swept to your bank account on the next business day for transactions that cleared before 5p.m. Central Time. What does a typical brick 'n mortar outfit pay for these same merchant accounts? We do not have data on that process at this time. Why are processing fees higher when a credit card is scanned or manually entered? Any time credit card information is not captured from the magnetic strip on the back, there is a higher risk of fraud. Therefore the payment processors charge more. Can a user specify that they want a debit card transaction as opposed to a credit card transaction? No. Credit card transaction is the only available option at this time, so a user cannot specify. If manually scanning a credit card is possible, can checking account information be manually scanned as well? No. We cannot scan a check or checking account information, only card information. Can funds be taken out of a savings account as opposed to a checking account? Yes, funds can be taken from a savings account. When the account is linked to a bank account, it will locate every option under that bank account login. Does Online Bookkeeping - Get Paid integrate with Square Reader? No. At this time, Online Bookkeeping - Get Paid does not integrate with Square and Square does not wish to partner on this effort. Currently, it is possible to manually enter Square transactions into Online Bookkeeping - Get Paid or import them if the bank account is linked to Online Bookkeeping - Get Paid. Stripe payment methods can also be added on top of Square. Does Online Bookkeeping - Get Paid integrate with Online Store? Not yet. Currently, Online Store is primarily enabling e-commerce on websites. Online Bookkeeping - Get Paid is for small businesses taking payments in person or via invoices. 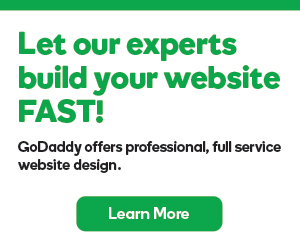 GoDaddy Online Bookkeeping is a better solution for e-commerce businesses. Does Online Bookkeeping - Get Paid integrate with Online Bookkeeping? No. Small businesses should really choose one or the other. E-commerce businesses (where getting paid is not the problem but tracking sales and expenses from difference sources is a necessity) should use Online Bookkeeping. Service Based Businesses that invoice or collect payments directly should use Online Bookkeeping - Get Paid. If a small business finds itself needing Complete Sales and Expense tracking and tax prep, an upgrade to Online Bookkeeping - Get Paid Essentials or Premium should suffice. Is Online Bookkeeping - Get Paid the right choice if my customer sells online AND at street fairs or other in-person events? Customers who sell online should use Online Bookkeeping. It’s important for them to organize their finances all in one place and keep track of all of their sales and expense data. For the occasional in-person sale (Farmer’s market, street fair, trade show, etc.) 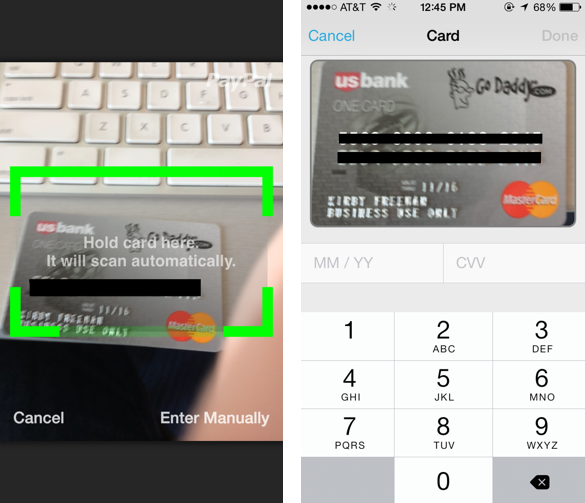 customers can use the mobile app which allows them to swipe a credit card. Can the customer use the same Stripe account for Online Bookkeeping - Get Paid and Online Store? Yes. The same account can be used for both. Can the customer issue a refund with Online Bookkeeping - Get Paid? If so, can it be issued via a mobile device such as a phone or tablet? Yes. Customers can issue refunds using PayPal, PayPal Here and Stripe. They will need to log in with the account for the provider that the transaction was processed through to reverse the transaction or issue a refund. Refunds cannot be issued via any mobile devices at this time. How does taxing with Online Bookkeeping - Get Paid accounts work? Does it account for taxes in different states and regions? At this stage, you must manually enter all tax rates. Default tax rates cannot be set due to different municipalities and their unique taxes. This may change, particularly if we partner with a third party. What if a customer accidentally cancels their account? What is the restore process like? If an account is accidentally cancelled, we put it in inactive status, which can be retrieved at any point. There is no exact time frame for this process, but a safe estimate would be two weeks. Are processing fees higher for American Express? No. With Online Bookkeeping - Get Paid, all credit cards have the same processing fees. Is Online Bookkeeping - Get Paid international? No. At this time Online Bookkeeping - Get Paid is for U.S. businesses only. Is Online Bookkeeping - Get Paid available for resellers? No. At this point, Online Bookkeeping - Get Paid is not available for resellers. Starting a freelance web developer business? Ask these 5 questions.